Like a true athlete of the 21st century, Mark Chaffer met his girlfriend just where you might expect–Twitter. Haley Deutsch was trash talking Chaffer’s favorite hockey team, the Washington Capitals, and their teasing friendship grew from there. 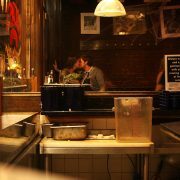 One day, Deutsch tweeted that her date had stood her up. Coincidentally, the same thing had happened to Chaffer that night. 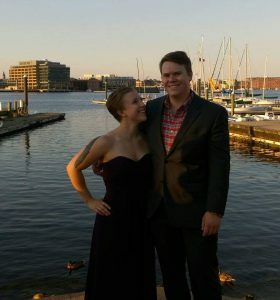 They decided to correct the karma in the world by going out with each other, to an outdoor screening of Top Gun at a local Baltimore brewery. In Deutsche, Chaffer not only found a romantic interest. 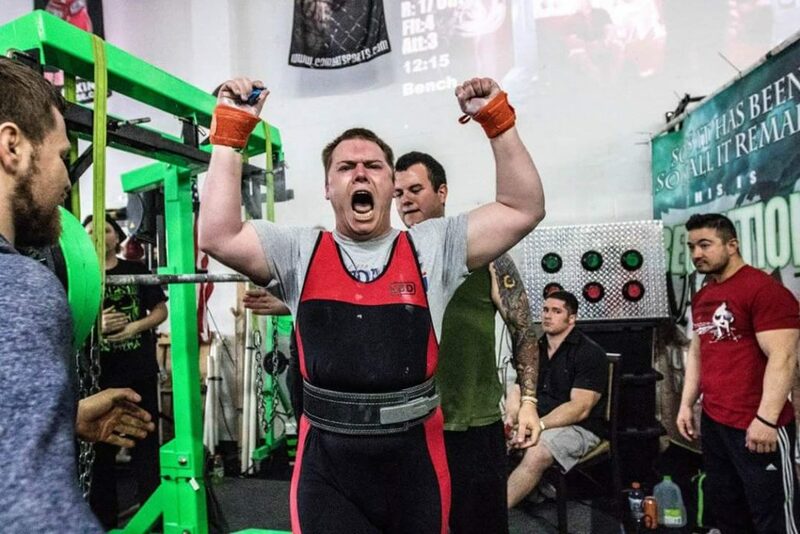 He found the motivation to transform his life through powerlifting. Before meeting , Deutsch, the well-rounded sportsman had played lacrosse, soccer, cycling, baseball, football… and messed around aimlessly at his college gym. But nothing felt quite right. Born with an umbilical cord tied around his neck, Chaffer was stuck and forcibly removed during labor. As a result, Chaffer has Erb’s Palsy: a rare neurological condition which stretches the nerve between his arm and shoulder, causing motor issues. In Chaffer’s case, this has resulted in his right arm being three inches shorter than his left. That didn’t stop him from loving sports. Nor did Deutsch’s childhood injury. “When she was younger she was thrown off a horse and broke her back, but she squats two times her body weight,” explains Chaffer, 26, who works as a production support analyst at a mutual fund company when he isn’t at the gym. Through his girlfriend, he learned about yet another sport he could try on for size. Powerlifters train to maximize their strength in three main movements: bench pressing, deadlifting (raising a barbell from the ground, until the lifter stands straight and holds the bar), and squatting. With his shorter right arm, Chaffer struggles to bench press because his arms can’t raise the bar evenly. The same goes for deadlifting. But in the squat, Chaffer is a beast. Today, he can squat 601 pounds—but he had to surmount a few serious stumbles to get there. In the squat, Chaffer is a beast. Still, he was afraid to sign up for the crowning event of powerlifting: a competition. “It was partly because I didn’t want to get embarrassed, and I wasn’t sure about myself as a lifter, I guess. My disability played into that a lot. The only thing I was good at, and it’s still true, is squatting.” When he squatted 500 pounds for the first time, he thought, “Eh, whatever, maybe I’ll like it.” Deutsch encouraged him to go the whole way. Then, Chaffer was tested to his core, physically and emotionally. He flew to the American Open in Boston, determined to hit more personal records (PRs). After preparing for months, he squatted 540 pounds, a PR by 22 pounds. For months, he had been in constant pain. “I was trying to force my body to do stuff that it wasn’t made to do,” he says. “That’s where I figured out: OK, I can’t bench like other people or deadlift like other people, and I need to reassess. I took a few weeks off, and went back in with a different approach. I decided to listen to my body more. Chaffer was grappling with the cognitive dissonance of his invisible disability. 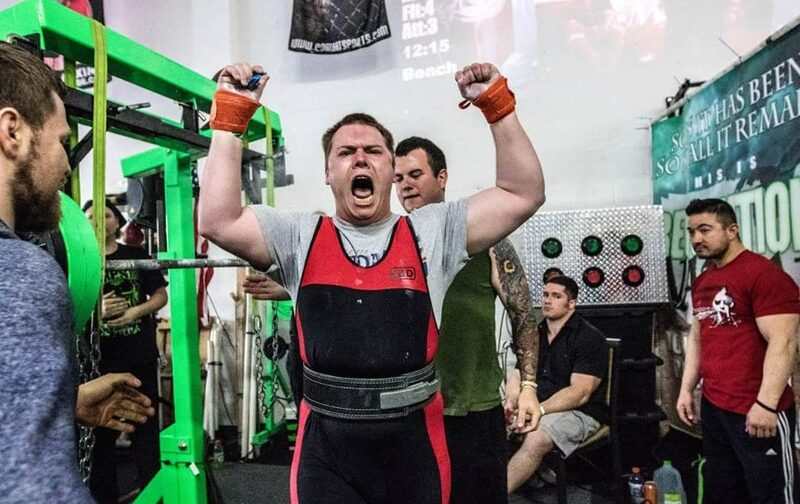 In the end, that’s why Chaffer connected with powerlifting more than any other sport. 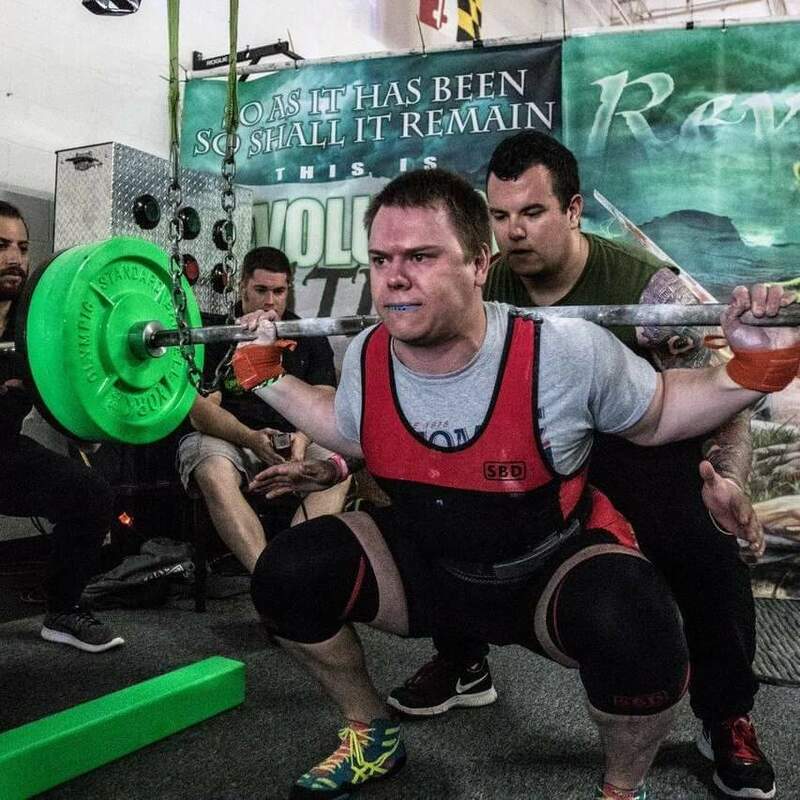 In May, Chaffer did a local meet “for shits and giggles” and set a state record for the knee-wrap division by squatting 590 pounds without wrapped knees. He shares his lifting videos online and has grown a following on Instagram (@ineffective_platemath), and he’s vocal about his struggles with Erb’s Palsy.